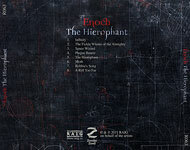 ENOCH was formed in Asheville, North Carolina, USA in the spring of 2008. Comprised of current or former members of Descolada, Serpents, Trapper Keeper, Birds On The Ground, The Judas Horse, Subproject 54, and Reach For The Stars. 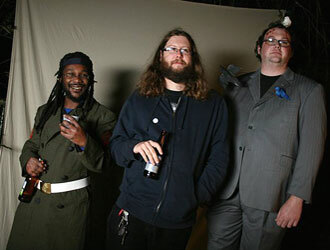 A few line up changes solidified into the current trio of (from left to right): Neal Wilson (bass), Dave Lynch (guitar, vocals), and Charles Howes (drums). Fans of early 70's rock, doom and drones of varying degrees of distortion and pitch, delay drenched guitar solos, their goal is to write songs that can be both tight and heavy and also descend into more improvised psychedelic rock territory... For more information or booking please contact the band through their MyspaceMusic page. "Enoch are a filthy, dirty, fuzz-drenched psyche, sludge, doom hybrid of a band that really pushes the envelope in terms of sounding as ugly as possible. Using extra distortion to push their abrasive sounds, Enoch are a punishing band to listen to and forget about finding infectious riffs and hooks, this band is in pure damage mode. Enoch can be best described as a cross between Sons Of Otis and Electric Wizard but with a much more improvised psychedelic edge. (Score: 8.5/10)" – by Ed Barnard of Doommantia (USA) (March 2011). "Framed in the rich, warm glow of analogue, The Hierophant is a top notch effort from beginning to end. If throwback, doom / stoner / metal is your thing, then Enoch is definitely a band you're going to want to check out. (Score: 4/5)" – by Ryan Sparks of Sea Of Tranquility (USA) (April 2011). 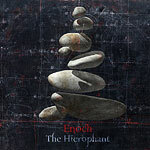 "Artistic freedom still exists and ENOCH definitely makes use of it... ENOCH have managed to record a fascinating album that is among the most interesting 2011 debut releases in the genre of heavy progressive madness." – by Klaus Kleinowski of Cosmic Lava (Germany) (April 2011). "There is only one way to play this album and that’s loud, make no mistake of that, that’s how the dynamics work here. This is an album that is drenched in fuzz and flanged toned guitar work, mammoth riffs, thunderous percussive work, distortion that fills the vastness of open space. (Conclusion: 7.5 out of 10)" – by John O'Boyle of DPRP (UK) (July 2011). The album was also reviewed at: Full Metal Attorney (USA), Encyclopaedia Metallum (Canada), Life Is Psychedelic (Macedonia), Prog Sphere (Serbia), Doom-metal.com (Belgium), Metal Library (Russia), Psychotropic Zone (Finland), Zware Metalen (The Netherlands).